A successful cigar line almost always spurs line extensions. The positive reception to the Garcia family’s My Father line has meant many new variations over the years. The Judge tweaks the blend by using a dark brown Ecuadorian Sumatra wrapper around dual Nicaraguan Corojo and Criollo binders and filler the Garcia’s farms in Nicaragua. Available in two sizes, I smoked the longer one (6 x 56), as opposed to the shorter version (5 x 60). It has lots of coffee notes along with roast nuts, earth, leather, and pepper spice, with just a little bit of creaminess. 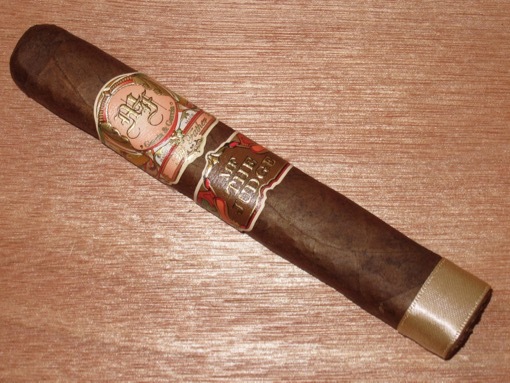 It’s a medium- to full-bodied smoke, and even though it isn’t my favorite My Father blend, it is still a very good smoke.